Heading out to Camel’s Back Park, I started out at the very first parking lot you come to on 8th St. It’s on your left and you can’t miss it. From here you can either take the road to the next parking lot, jump across the street and ride in on a trail there, or go the way I did and take the trail on the left side of the road (I think this is Red Fox (#36) but I’m not sure, see the picture below). About fifty meters in on this trail, you’ll start climbing, hang a right at a small intersection, and then another right when you get to the top of the hill. Follow this trail until it dumps you out onto a dirt road. Take a right on the road and you’ll end up on 8th St Ext. 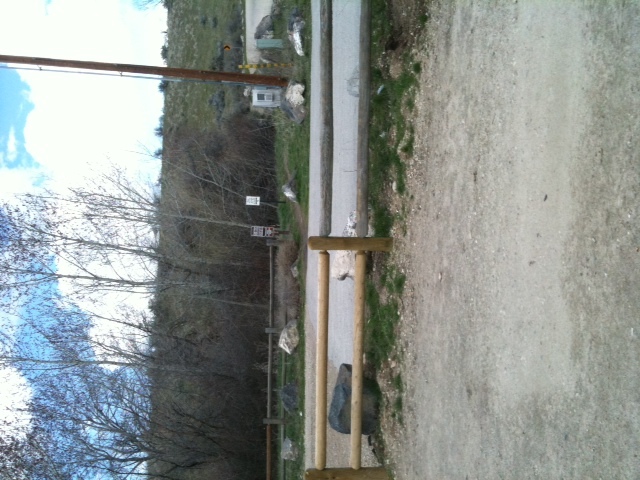 Cruise across the road to an obvious trail and you’ll find yourself on the Red Cliff trail (#39). 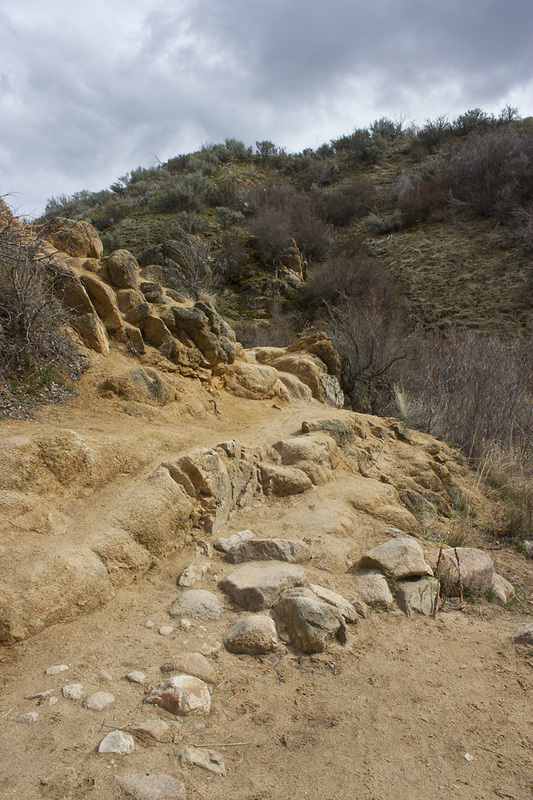 I followed Red Cliff to Crestline (#28), then to Lower Hulls Gulch (#29), and then came out the same way I had gone in. Red Fox (? ): Whatever the name of this trail, it’s short. The only reason I took it is because it’s got a fun downhill that kind of zooms you in to Red Cliffs. The hill right at the beginning is steep for not having warmed up at all, but it’s short, so take it easy and it’s fine. Take a right at the top and you’ll be on a double-track with only one way to go. The downhill at the end is a lot of fun, but you really have to watch out for pedestrians (just like everywhere in this system). Cruise down this fun little downhill, turn right at the road and hit the berm on the left side of the gate. Check for cars as you cross the road and hop onto Red Cliffs. Red Cliffs: The only intersection you need to worry about on this trail is the one you’ll come upon very quickly. 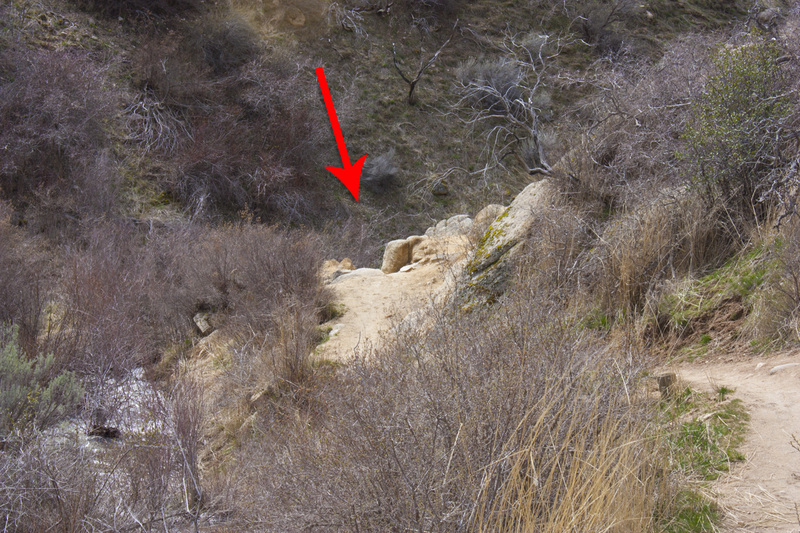 The trail will have the option of going straight/right/uphill, or left over a small creek–stay to the right here. This trail is a lot easier than it used to be, going this direction. There is now a whole new trail that skirts around some hills that used to be pretty tough. There are no surprises, and for the most part it slopes gently uphill. The only hard hill on this trail comes right at the end, and again, it’s not too bad. Once you get to the top of this hill, you’ll come to an intersection where you’ll want to turn left (2.25 miles at this point). Turning left (downhill towards the power lines) puts you on Crestline. Crestline: This is a fun trail. Like a lot of the trails in this area it’s more like a dirt sidewalk than a single/double track, but you can ride it fast and it’s got a good flow to it. I wish it were longer. You really can’t get lost on Crestline unless you take some extremely obvious not-Crestline trails. You’ll pass Sidewinder and Trail 4 on your way (if you’re looking for some more hill, take Sidewinder up and turn left at the top to come back down on Trail 4 (lot’s of fun!)). Crestline will dump you out onto a creek. Ride through the creek and take an immediate left onto Lower Hulls. As you cruise down you’ll see (or be surprised by) a trail that branches off to the right (right at 5.25 miles by my computer). I like to take this trail but you don’t have to. Going straight will get you to the same place. But if you see it, might as well take it. You’ll cross a little bridge, and then you’ll reach another intersection. 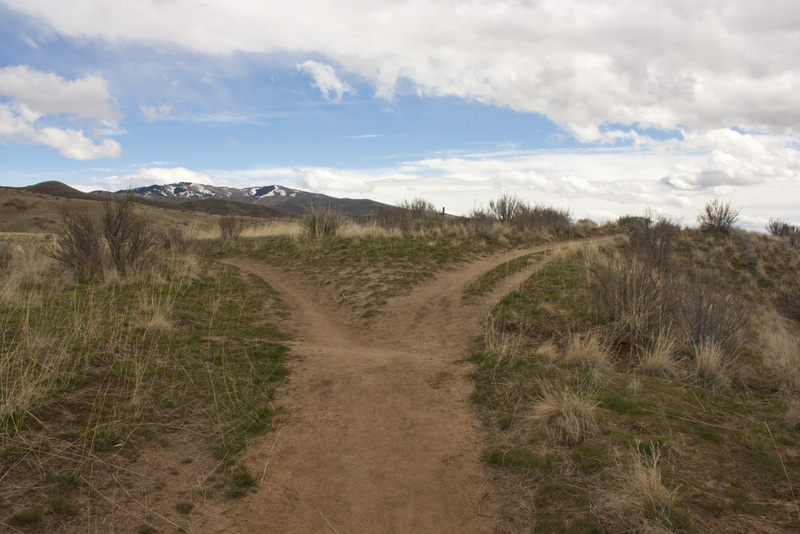 The trail will appear to go straight with an option to go to the left. Turn left here. Again, if you don’t, you’ll still be fine, you’ll just get dumped out on 8th St Ext, and your double-track time will come to a very slightly shorter end. Following the left option, you’ll approach another little bridge over a creek (just before this there’s a fun little jump on the left) and you’ll be right back on Red Cliffs. Turn right just after the bridge and reverse course. Trail Conditions (4/2/11): We got a little bit of rain last night, so I was pretty worried about how things were going to be, but I was pleasantly surprised. All the spots where people had ridden in the mud earlier and done so to the detriment of the trail, were hard and bumpy today. There were a few spots where the dirt was softer than others and you would leave a definite imprint, so you’ll need to be careful riding over any dirt that looks darker than its surroundings. I would say, though, that if we get any more rain, you ought to look elsewhere for riding because I don’t think the ground here can hold too much more moisture before you’ll be on and off your bike too much for it to be called a “ride.” But, if things stay dry, you’re good to go! 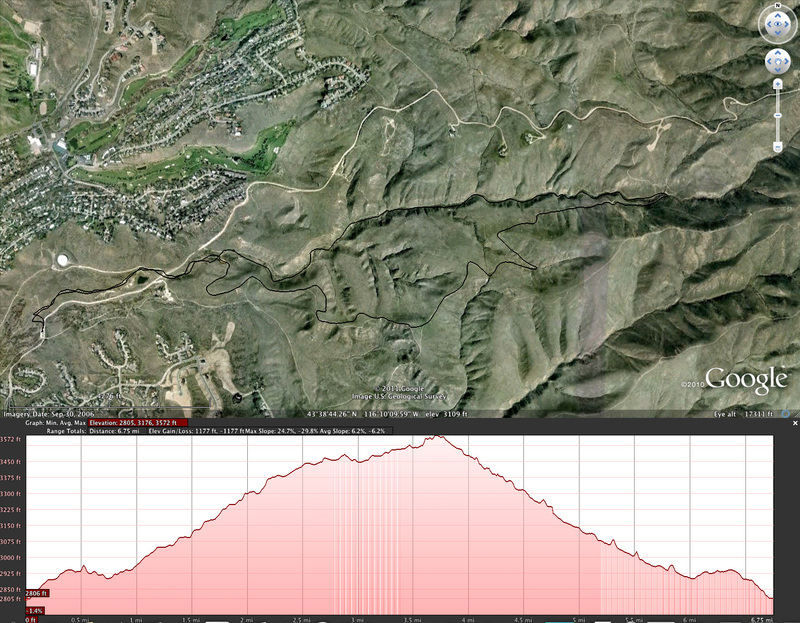 Here’s the trail map and elevation profile. I don’t know why Google Earth decided to make the trail a small black line instead of its usual red job…anyone know how to change this? ~ by cardwelc on April 2, 2011.